We report an outbreak of pandemic 2009 influenza A/H1N1 virus (2009 H1N1) infection that occurred in the hematology ward of our institution during the 2010–2011 influenza season. A total of seven hospitalized patients with hematologic tumors, including five recipients of hematopoietic stem cell transplantation (HSCT), successively developed rapid influenza detection test (RIDT)-positive influenza A; four patients had laboratory-confirmed 2009 H1N1 infection. Three HSCT recipients required mechanical ventilation support and two were admitted to the intensive care unit; they died of progressive respiratory failure despite receiving available anti-viral drugs. We implemented outbreak-control measures including transferal of RIDT-positive patients to a single-patient room and chemoprophylaxis with oseltamivir. We note that the H275Y neuraminidase mutation was detected in respiratory specimens from three patients, who were administered therapeutic or prophylactic dosages of oseltamivir. The present report demonstrates that the nosocomial 2009 H1N1 outbreak in the hematology ward led to fatal clinical outcomes and the emergence of a resistant virus at a markedly high rate. On behalf of the Hospital Infection Control Committee. 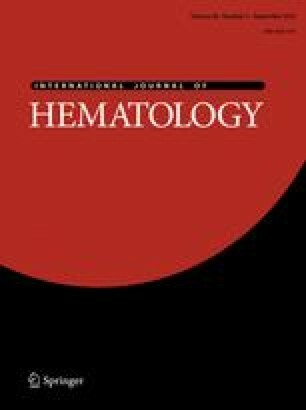 This report was presented at the 16th congress meeting of the Asian-Pacific Bone Marrow Transplantation in Sydney, Australia, October 30–31, 2011. The authors wish to thank Dr. Y. Kitahori at the Division of Bacteriology, Nara Prefectural Institute for Hygiene and Environment, for diagnostic testing of 2009 H1N1 infection; and all medical and nursing staff at Tenri Hospital for treating the patients.